ProMark’s Select Balance line is designed to give players the opportunity to find stick balance that’s right for their playing style and technique. 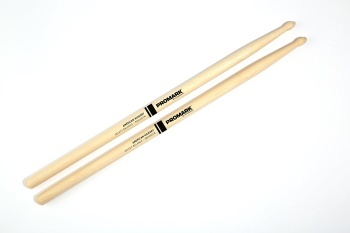 In order to create the Select Balance line, ProMark went back to the drawing board and identified the key elements of a drum stick in order of priority as diameter, length, taper, tip shape, and tip material. The RBH580TW features a 3" taper into a modified tear drop wood tip for a back heavy stick that feels like it’s doing most of the work.